All levels of members are FREE! Purchase 1 Vendor ticket per space (10x10 space and 2 chairs). So 1 Vendor ticket will get you and assistant in. Buy 2 Vendor tickets and receive a 20x20 space and 3 assistant passes. Get your last minute holiday shopping done and support members of our community! The Space Holiday Bazaar will have some of the best home crafts, baked items, toys, and wonderful gifts items you can find...and they are all created or brought to you by folks you know and love! 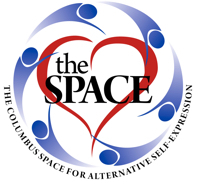 Reminder: All events at The Columbus Space are adult only - 18 years+.